To demonstrate that some minerals have a definite cleavage line. 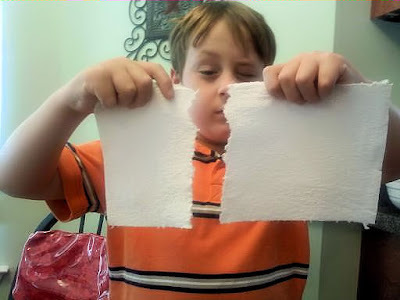 Try to rip a single sheet of a paper towel from top to bottom. Turn another sheet of paper towel and try to tear it from side to side. Results: The paper will tear easily in one direction but not in the other. Why? : Paper towels are made on a wire screen, creating a straight line in one direction. Pulling on the paper attacks the weakest point. The parallel lines on the paper made by the wire screen are thinner than the rest of the paper, and thus the paper rips easily down one of these lines. Jagged and irregular tears result when the paper is pulled in the opposite direction. This is like cutting minerals, such as diamonds, along cleavage lines. The mineral splits smoothly and easily along the lines where the molecules line up, but it can smash into irregular pieces if hit across the cleave line. Materials: 20 flat toothpicks, book and table. Pile the toothpicks on a table. 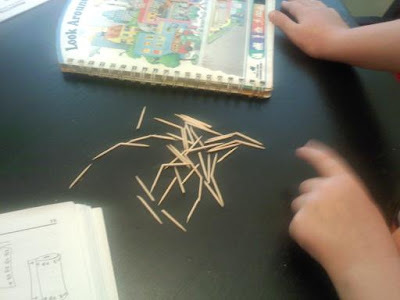 Place the book on the top of the toothpick pile and press down. Results: The toothpicks are pressed into flat layers (we wiggled ours a bit too much and they spread out). Why? : the toothpicks flatten into layers under the pressure of the book. In nature, the weight of rocks at the surface pushes down on the rock and dirt beneath, forcing them to flatten into layers. Rocks formed by great pressure are called metamorphic rocks. Stack the paper towels on a table. Fold the stack of paper in half. 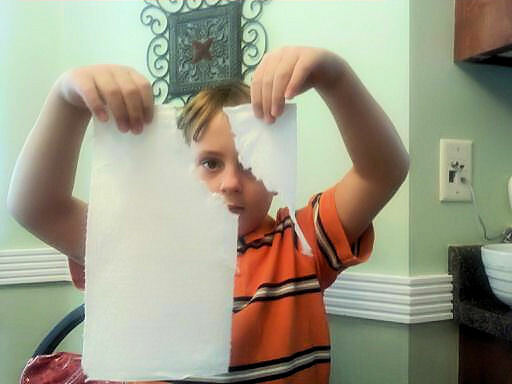 Wet the paper with water. Place hands on the edges of the wet paper. Slowly push the sides of the paper toward the center. Why? Your hands push the sides of the paper toward the center. Parts of the paper fold over so that it fits into the smaller space provided. When forces from opposite directions push against section of the earth's crust, the compressed land is squeezed into new shapes called folds. The upper surface of this folded land has a wavelike appearance. To demonstrate the pressure required to fold the earths crust. 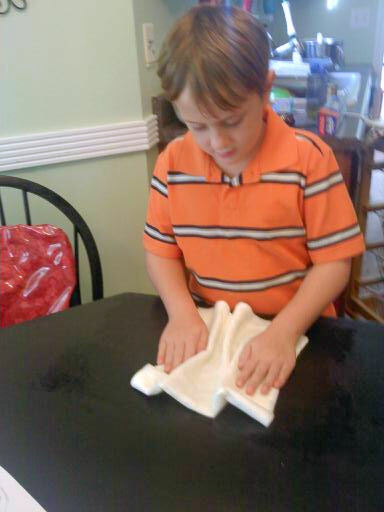 Continue to fold the paper as many times as you can. 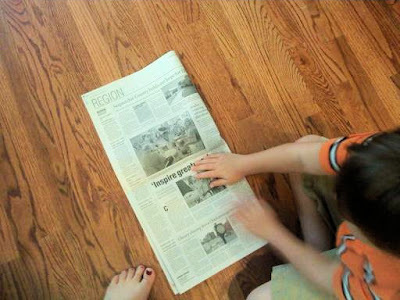 Results: The paper becomes more difficult to fold. After the 6th or 7th folding, you will be unable to bend the paper. Why? With each folding the amount of paper doubles. After 7 foldings, there are 128 sheets. The earths crust, like the paper, requires a small amount of pressure to fold thing, lighter layers on the surface. Tremendous amounts of pressure are required to fold over larger, denser sections of land. That concludes our lesson today on rocks. Enjoy!